8 In those days when there was again a great crowd without anything to eat, he called his disciples and said to them, 2 “I have compassion for the crowd, because they have been with me now for three days and have nothing to eat. 3 If I send them away hungry to their homes, they will faint on the way—and some of them have come from a great distance.” 4 His disciples replied, “How can one feed these people with bread here in the desert?” 5 He asked them, “How many loaves do you have?” They said, “Seven.” 6 Then he ordered the crowd to sit down on the ground; and he took the seven loaves, and after giving thanks he broke them and gave them to his disciples to distribute; and they distributed them to the crowd. 7 They had also a few small fish; and after blessing them, he ordered that these too should be distributed. 8 They ate and were filled; and they took up the broken pieces left over, seven baskets full. 9 Now there were about four thousand people. And he sent them away. 10 And immediately he got into the boat with his disciples and went to the district of Dalmanutha. Ok, so why does Jesus feed large crowds twice? Not to be trite, but the simple answer is that Jesus loved people, and this is at least twice in His ministry when large crowds were with Him, and He knew that if He was to send them away without food they may not make it home. So, why did Jesus do this twice? The simple reason is because people needed it twice. But there is something deeper and bigger going on here, as there is with almost all that happens in the Bible. There are two things that jump out to me in this reading that I think are significant. First, look at the “faith” of the Disciples. Remember, they had already seen Jesus feed an even larger crowd before. But when He says that the people must be fed, they say, how can we feed this many people here in the desert? They’d seen Jesus do it before. They knew that He could do it, they saw it with their own eyes, the experienced it, they helped. And yet, they still doubted. Aren’t we like that? Don’t we know what God can do? Haven’t we seen Him do it before? Aren’t we aware of His power? Yes. Yes we are. And yet, don’t we doubt, as they did? Don’t we forget, as they did? They did. And we do. On one hand, we need to learn, as they did, to have faith, to not doubt, to remember the faithfulness of God. Remember how He has been there. Remember what He has done. Remember who He is. Remember His faithfulness from generation to generation. But when we do, we need to show ourselves grace as well. Because we weren’t the first to doubt. The very ones that walked with Jesus doubted as well. And He didn’t give up on them. And He won’t give up on us either. 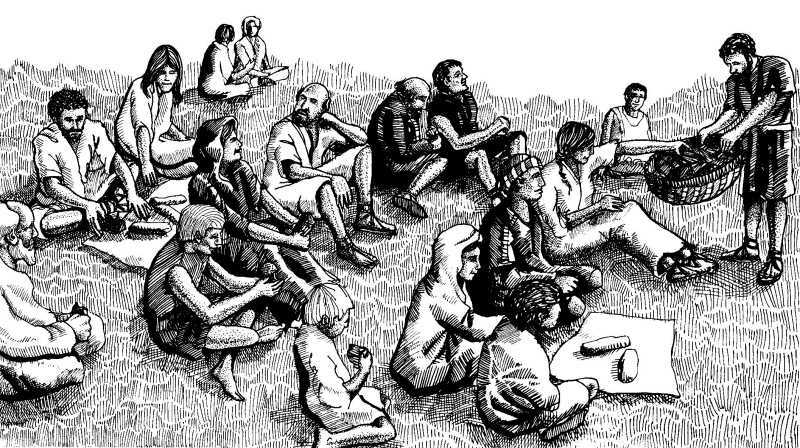 Second, many scholars believe that the first feeding of the multitude (the 5000) was a Jewish crowd, and many think that this crowd, if not mainly Gentile, had many Gentiles within it. This was on the western side of the Sea of Galilee, which was the more Gentile area. We cannot say for 100% certain that there were Gentile there, but reading into the context of scripture, it’s a safe assumption. And in a world that is so, so, so very polarized and full of hardening lines, I think it’s important for us to remember that Jesus Christ came for the world. The entire world. For all who believe. Today, may we live out that grace with all that we meet. Friday we’ll look at Mark 8:11-12. 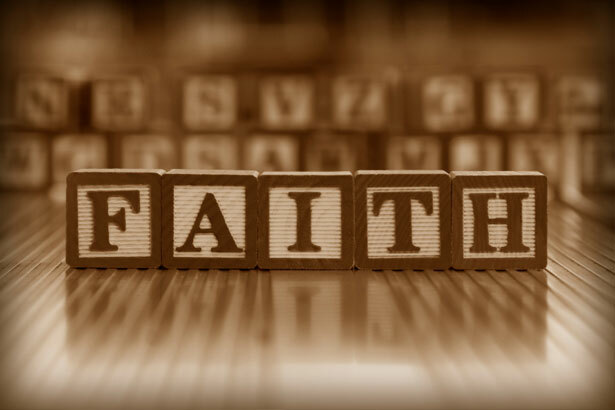 To have faith means that you are unflinching, right? No doubts, no worries, none of that. That’s what we think. That’s what we feel like we have to believe. If I’m a believer, I can’t have any doubts, any of those things. That’s what we make ourselves believe, or feel like we have to believe. The father of a child came to Jesus, knowing that Jesus could help. And Jesus said all things are possible when you believe. And look what that father says – I believe. Help my unbelief. We would read later in the text that Jesus does just that. He heals the child. He brings life back to this family. Faith is not the lack of doubt. Faith is believing more than our doubt. Because faith is a jumping off of a cliff. Faith is coming to the edge, walking off of it, and trusting God to catch us. Even when we know that He will, we can believe that, we can have that faith. But in the back of our minds we can still wonder. What if. What if He doesn’t catch. What if it goes wrong. What if. Faith is this. Haven’t those thoughts and time. Having those worries. Having all that. And still jumping. Because we may worry and we may have those voices trying to get us not to do it. But faith says this. God is bigger. And He will be there. Even if I doubt. Because my doubts don’t negate the truth. Faith is sometimes an act of will. Faith says, I choose to believe this, even if I doubt. Because I know it’s true. I know it is. I believe. Help my unbelief. And what did Jesus do? Just that. Today, believe the truth, even if you doubt it. Because it is true. Hold on, hold fast, and hope. God is good, even when we doubt. May we have the will and the grace to believe. Even when we doubt. May God increase our faith. Today, and always. You ever feel like you are fighting a losing battle? Ever feel like you’ve got a task that you just can’t get done, dealing with something that you just can’t get right, working with something that you just can’t change? We’ve all been there at some point in our lives. We’ve all been in a battle that we just can’t feel like we can win. We’ve all felt that frustration, that anger, that doubt, that pressure, that worry. 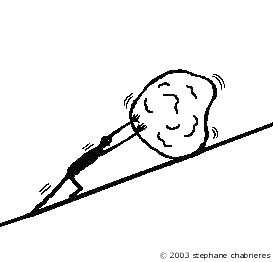 One of my favorite characters in Greek mythology is Sisyphus. If you’re not familiar with his story, basically he was punished for all eternity by having to push a boulder up a mountain, only to have it roll back down up on him. And he had to do that for all eternity. 4 The descendants are impudent and stubborn. I am sending you to them, and you shall say to them, “Thus says the Lord God.” 5 Whether they hear or refuse to hear (for they are a rebellious house), they shall know that there has been a prophet among them. 6 And you, O mortal, do not be afraid of them, and do not be afraid of their words, though briers and thorns surround you and you live among scorpions; do not be afraid of their words, and do not be dismayed at their looks, for they are a rebellious house. 7 You shall speak my words to them, whether they hear or refuse to hear; for they are a rebellious house. God sends Ezekiel to preach to the Israelites. And He says this. They may not listen. They are rebellious. They are hard-headed. They may not listen to a word you say. But you say it anyway. Because your job is not to change them. Your job is to preach that word. What a word for us today! Your job is not to win that battle. It’s not. Your job is to be faithful. That’s your job today. It’s God’s call if the battle is won or lost. You can’t in the end control that. You can’t control them. You can’t control the situation. You can’t control any of that. All you can control is yourself. That’s it. So, our job is not to worry about the things that we can’t control. Our job is to worry about what we can control. That’s ourselves. That’s our response. That’s our faithfulness. That’s our effort. That’s us. That’s all we can do. So, today, be faithful. Even if it’s a battle that you don’t think you can win. Be faithful. The battle is Lord’s. He will take care of what happens in the end. Today, though, for you and for me, let’s be faithful. Let’s be obedient. Let’s do what God wants us to do. And the rest is up to Him. Don’t worry. Don’t fear. Don’t doubt. Be faithful. That’s our main duty! Today’s reading is one that we have heard preached from many, many times. It’s the Great Commission, Jesus’ command to the Disciples and to His church to go out and make disciples of all nations. You know what one of the first things I saw was? This – they worshiped Him, but some doubted. Ok, let’s think about who these “some” where. They were the Disciples. The very ones that had walked with Him, that had seen so very much, and were looking at Him, the resurrected Christ, in their midst. They were also the very ones that Jesus was going to deploy into mission. They were going to be big, huge, things for Him. And with all that, some of them still doubted, at that moment. Just because you have doubts, or struggles, it doesn’t mean that you haven’t seen God, that you don’t know God, or that God won’t use you. Doubt is often a part of faith; we struggle, we believe, we grow. You never grow if it’s always easy. Sometimes you have to go through the tough times before you can really grow. They doubted. Jesus was going to use them in a huge way in a matter or days. Today, if you doubt, hold onto Jesus even more tightly. He won’t let go of you. He won’t. Hold on. And one last thing, Jesus said this, Remember, I am with you, even to the end of the age. He told them to remember He was with them. Because at times, they may forget. Don’t. Don’t forget. Hold on. Hold on tight to Him. And remember. Remember He is with us, always. Always. Don’t forget that. You’ll be tempted to forget. Remember even more deeply. He will never leave or forsake, even when we struggle. Because He loves us. Never forget. Just because you have faith, it doesn’t mean that you’ve always got it figured out, or that it always makes sense. Just because you believe, it doesn’t mean that all of life will always make sense, and that everything will always be easy. Sometimes, you will believe. Sometimes, you will know that things are right, or that things are going to be ok in the end, or that God is going to work everything out. You know it. Really, you do. You believe. This dad came to Jesus and said, please help my son. Jesus said, if you believe, all things are possible. And dad says, I do, I believe. 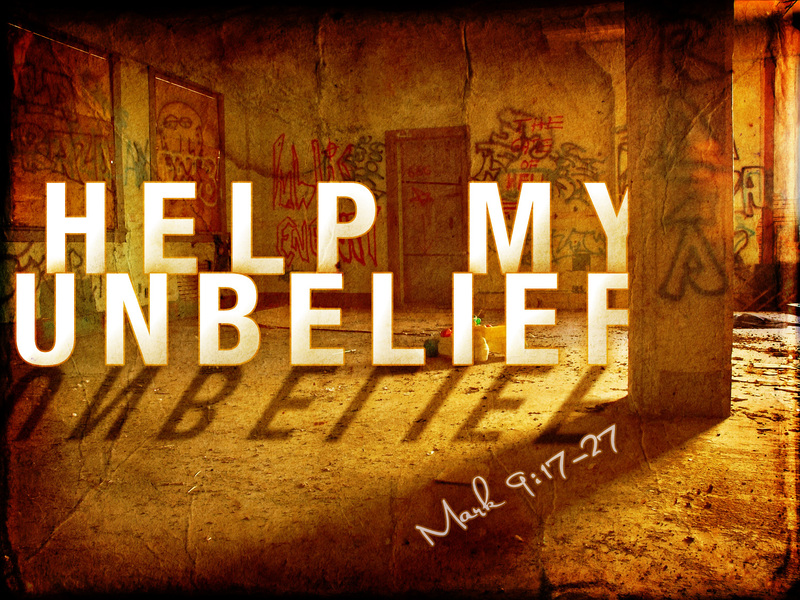 But, help my unbelief! What can we learn from this passage about the times when we believe, but struggle. First, do what’s right. This dad was struggling but unbelief, but He went to Jesus anyway. He knew that Jesus was truth and was help. He didn’t really understand it, or have it figured out, or really know what to do. But he knew that Jesus was life. He did the right thing. So should we. If you struggle, keep reading. Keep praying. Keep worshiping. Keep doing the things that draw you close to Jesus. The dad struggled, but he was faithful. And good things happened. Second, ask for help. Ask Jesus to help you. Ask for strength. Ask for belief. Ask for that hope. When the dad, when he knew that belief was needed, he said – help me! Help my unbelief. Help my doubts. When you doubt, don’t turn away from Jesus, turn to Jesus. Don’t run from Him, run to Him. And when you do that, you will find that He will actually give you the strength and the faith that you need. Today, we may doubt. God is there to help us, in these doubts. He won’t leave us there. Today, even when we doubt, may we turn to Him! John the Baptist knew who Jesus was. Scripture tells the story that even while he was in his mother’s womb, he leapt for joy when Mary came to visit, for even then he knew that the Messiah was there. John was the one appointed by God to go and to prepare the way for Jesus. He was the one that was supposed to make things ready for Jesus’ coming and ministry. Some of his disciples even became disciples of Jesus. John baptized Jesus in the Jordan River. Now when John heard in prison about the deeds of the Christ, he sent word by his disciples and said to him, “Are you the one who is to come, or shall we look for another?” And Jesus answered them, “Go and tell John what you hear and see: the blind receive their sight and the lame walk, lepers are cleansed and the deaf hear, and the dead are raised up, and the poor have good news preached to them. And yet today, in this text, he doubted. Life had taken a turn. John was now in prison for standing up to Herod and condemning him. And you condemn the king, it normally doesn’t go to good for you. So, he is doubting. And what do Jesus say – look. Look at the lives I’ve changed. Look what I’ve done. Look what’s happening. I am who I say that I am because I have changed live. You will doubt. It will happen. That’s ok. Doubt happens. Even John did. But when doubt comes, just like John, look around. Look at the lives that are changed. Look at the difference Jesus makes, in your lives and in the lives of others. He has changed my life. He has changed the lives of so many others. And, if you let Him, He will change your life in amazing ways today! Doubt will come. But remember. Remember what He has done for you. Remember how He has shown you grace. Remember how He has changed your life. That change. That experience. That’s God’s working in our lives. When doubt comes, remember what He’s done. And look at what He’s doing. And hold tight to those things. What do you truly and totally understand? Well, I guess it depends on what we are talking about, huh? I don’t understand how at this point, my Rebels can lose this many SEC games in a row, but that’s not important in the grand scheme of things. What is important in the grand scheme is God. Is faith. Is Scripture. Is salvation. These things matter; these things are important. And we want to be able to understand them. We want to be able to really know what is important. 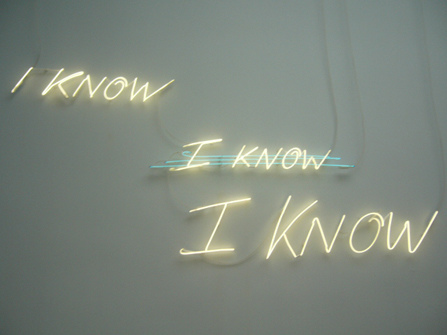 But, we don’t fully know, do we? We don’t fully understand, do we? 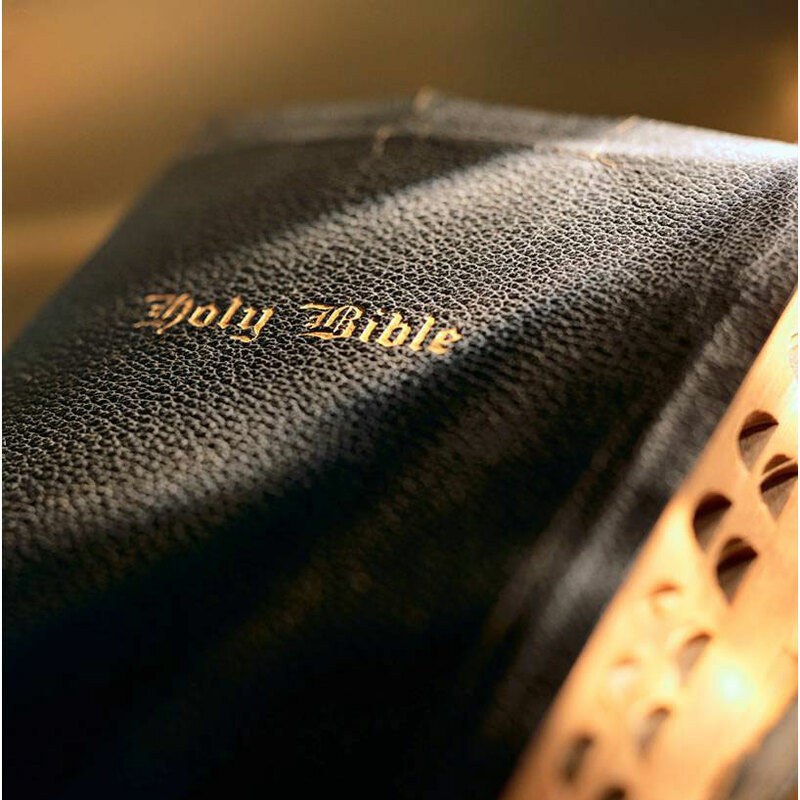 There are things about God, faith, salvation, and scripture that we may not fully understand this side of glory. Today in John 9:24-25, we see a many questions about his healing by Jesus. He is being asked by the religious leaders, what about this? What about this? What about this? He finally says, I don’t know the answers to the questions you are asking, but one thing I do know. I once was blind and now I see. I love that answer. There are lots of things about faith I don’t understand. Lots of things that don’t make sense to me. Lots of things in life that I can’t figure out. But, I do know this. I once was blind. But now I see. I once was lost and now I’m found. I once was wandering away from God and now I’m home. I can’t understand every deep thing about God. But I do know that He loved me enough to save me. Just as He loves you that much. Today, no matter what you don’t know and don’t understand, one thing I do know. God loves you and wants to be in relationship with you. And that’s the best thing of all! Yesterday I reflected a little on worry. Worry is something that I deal with A LOT myself. I spent most of yesterday worrying and fretting over a bunch of stuff when the Lord reminded me, hey dude, you need to listen to the things that you tell other folks. I’m the kind of guy that Lord doesn’t always whisper to. Sometimes He has to smack me on the head. Worry, to me, is so closely tied to doubt. I worry when I doubt something will work out ok. I worry when I feel like a situation is out of my control and I doubt that anything can be done about it. Worry seems to thrive off of doubt. Doubt seems to the oxygen to worry’s fire. 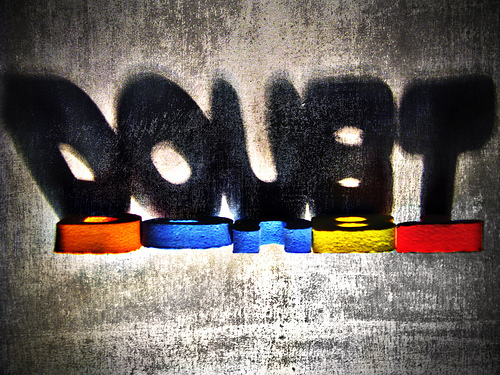 Worry seems to be fed and driven by doubt. When there is no doubt, through, there would not be as much worry. Without that doubt, worry would become less. So, what is the opposite of doubt? Faith. Faith drives out doubt. Faith drives out worry. And so, look at this passage today, with a verse that I love. Lord I believe, help my unbelief. None of us have as much faith as we ought to have. None of us are exactly where we ought to be in our walk. None of us are perfect. That’s ok.
Lord we do believe. Help our unbelief. Help us have more faith. More trust. More confidence in your plan. Today, we believe. We have faith. We have trust. Today, may we have MORE faith and trust. Today, we believe. Today, may the Lord help our unbelief.